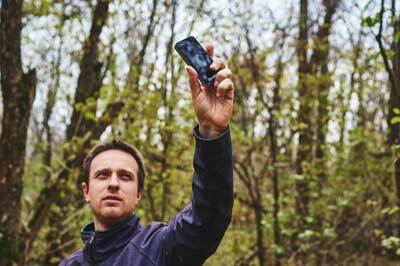 Ok, so we know that if you are in the wilderness, using your phone might not be an option. Maybe it is out of battery or maybe you are not getting a signal. Luckily, text messages can be sent with even the lowest of signals. So, if you happen to be near a signal tower, sending a text message might just be your best bet. 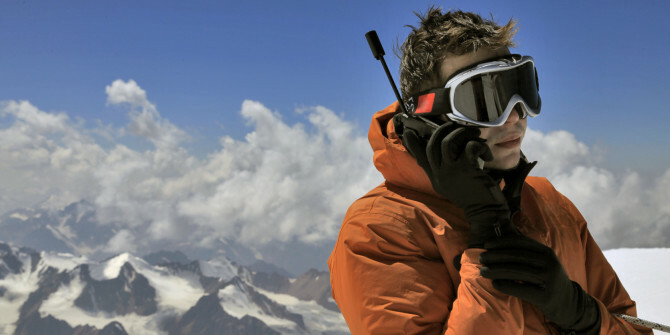 If you plan on spending a lot of time in the wilderness, we would recommend getting a satellite phone. These things usually always get a signal, thus making for the very best survival signal out there. 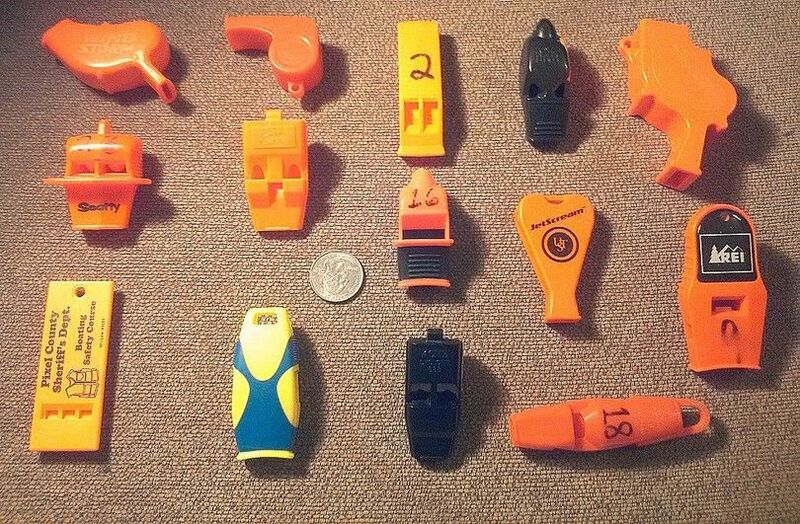 Whistles are proven old school wilderness survival signals. Everybody who goes out into the wild should have a whistle with them, whether on a mountain, in a forest, or on a boat. You might think that you can scream really loud, but you are definitely not louder than the high pitched and shrill noise created by a survival whistle. If you think that people are nearby, or even if they are not, start whistling away to try and get the attention of anybody that can hear it. Fire and smoke signals are probably some of the survival signals that you can use to signal for help. This is especially true in the night. The glow from a big raging fire can be seen from miles and miles away, thus alerting anybody in the area to your presence. Once again, the bigger the fire is, the better your chances are of being spotted. Do be careful to not burn through too much fuel, especially if it is very cold, because you will need it to stay alive. However, if you are surrounded by plenty of fuel, build that fire up big time. Smoke signals work well too. 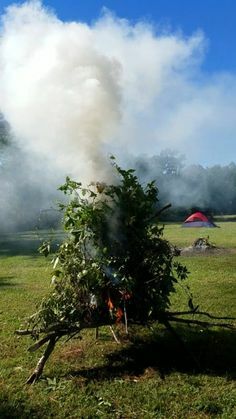 To make smoke signals, you will need a lot of wet greenery on the fire that creates smoke. 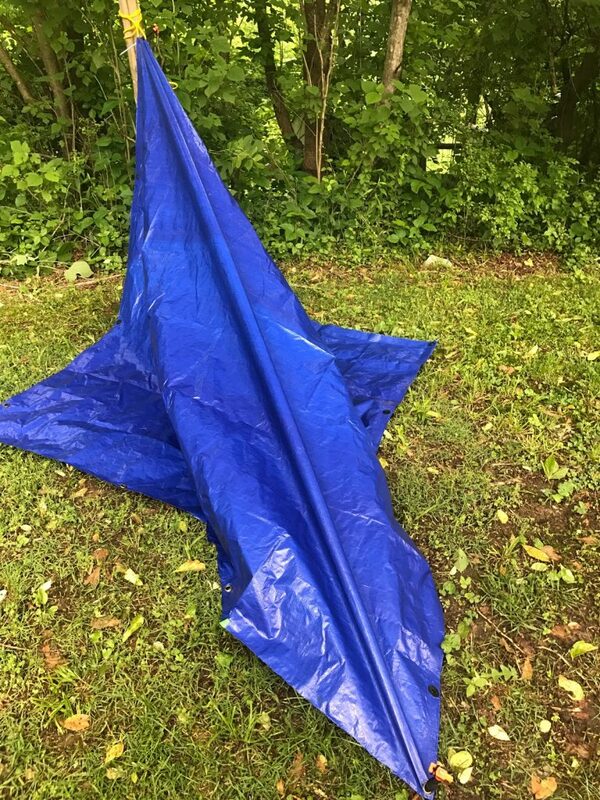 You will also need a tarp or cloth that is wet, plus an extra person too. A fire combined with smoke signals is a great way to alert people to your presence. 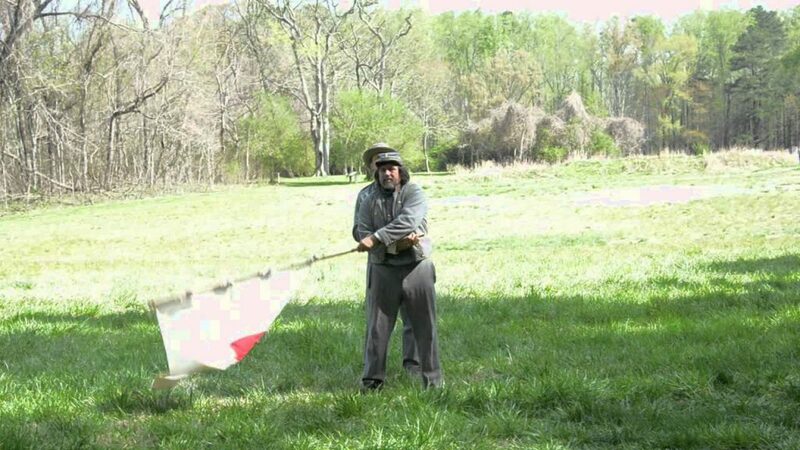 When it comes to wilderness survival signals, flags and tarps are another good way to go. The bigger and brighter the tarp or flag is, the better the chances that someone will see it. Ideally, you would want to use a marker or some kind of contrasting dark color to write a help message on the tarp or flag. Whatever the case, you want to make sure that the tarp or flag is not obstructed form above by trees. You want the tarp or flag to be clearly visible from the sky or from roads, ideally from both. Using a bright color that creates contrast between the survival signal and the surrounding area is also a must. People in an airplane won’t be able to see a green flag or tarp placed within or on top of trees. Something yellow, red, pink, or anything like that is ideal. Using a mirror is another great survival signal that you should take advantage of. Mirrors are not expensive and they are easy to pack. Even better is the fact that they are easy to use to signal for help, plus they actually tend to be quite effective too. 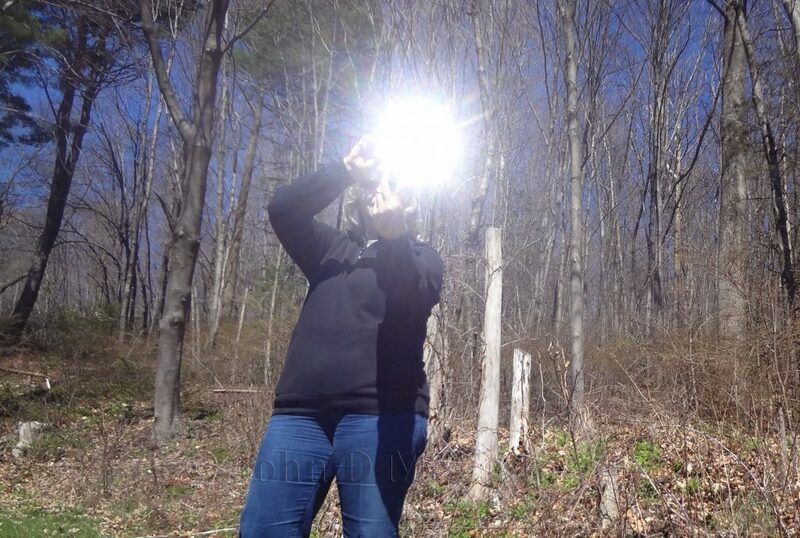 Mirrors work really well if you are in an open area, such as in a clearing in the woods. 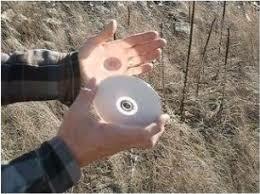 They also work great if you happen to be stranded on a mountain or stranded at sea. Simply take the mirror, catch the sun’s light, and aim it into the sky. Even better is aiming the mirror at people or in the direction where people are known to be. This does rely on someone catching the gleam of light coming off the mirror, but it is much better than simply screaming for help. Survey tape may seem like a pretty unusual item to use for signaling, however it has proven to be a good method of signaling for help if you are lost or injured in the wilderness. Now, this does rely on other people to make it work. 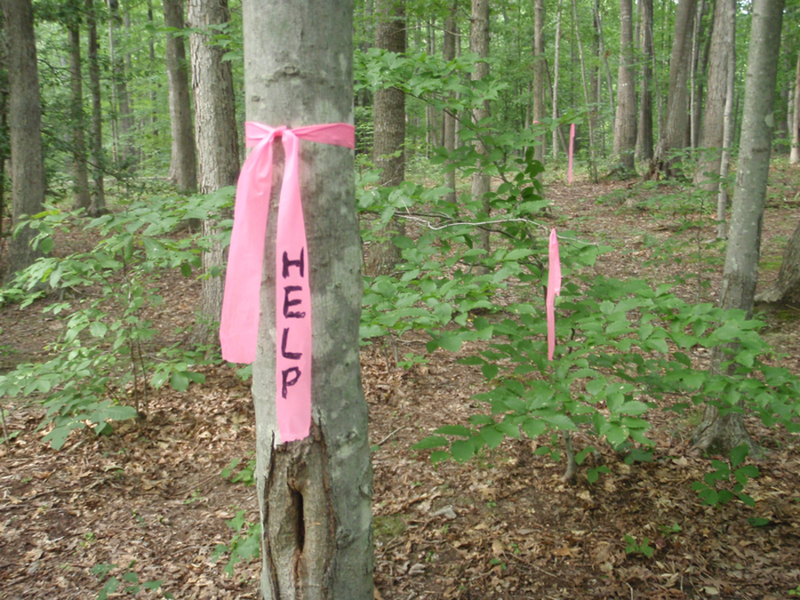 If you have survey tape with you, which we would recommend, you can wrap it around trees with a message written on it. Include your location, how many people there are, and if anybody is in dire need of medical attention. This does mean that other people actually have to walk past the survey taped up trees, but it is better than nothing at all. 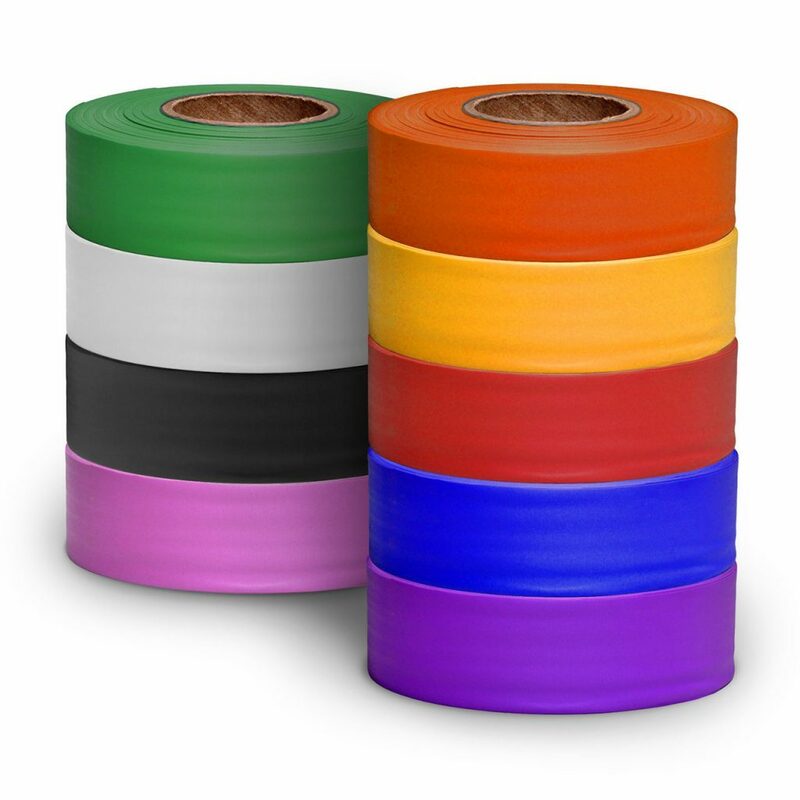 Try to space out the tape in a wide area in order to make sure that the chances of someone else seeing it are as high as possible. Also, get bright survey take, something orange, yellow, or any other neon color that will attract attention. Survey tape definitely makes for a good survival signal. 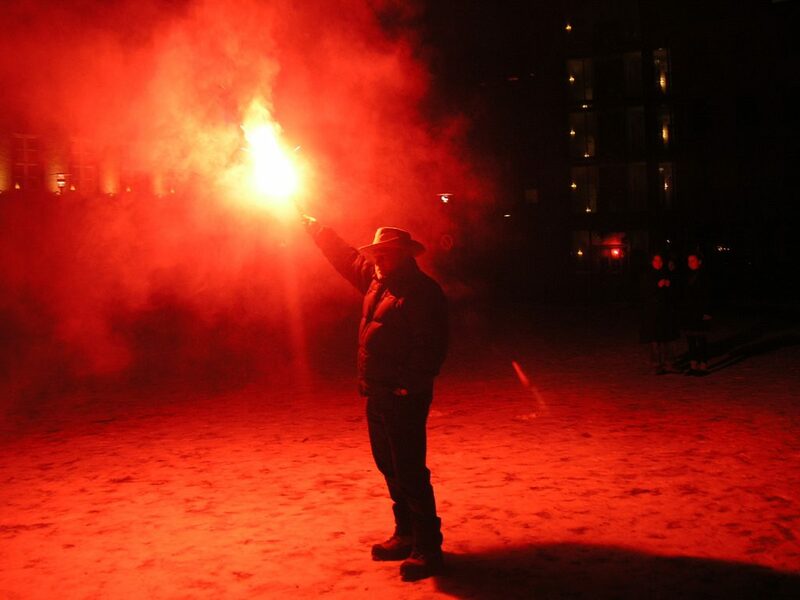 When it comes to signaling for help, flares and flare guns are an old school signaling method that has not gone out of style. Normal flares are really bright and can be seen from a long way away. 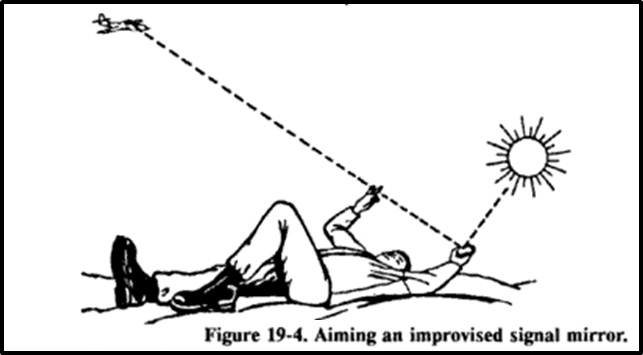 So, if you have a flare, try and get it in a visible and clear area for aircraft to see. 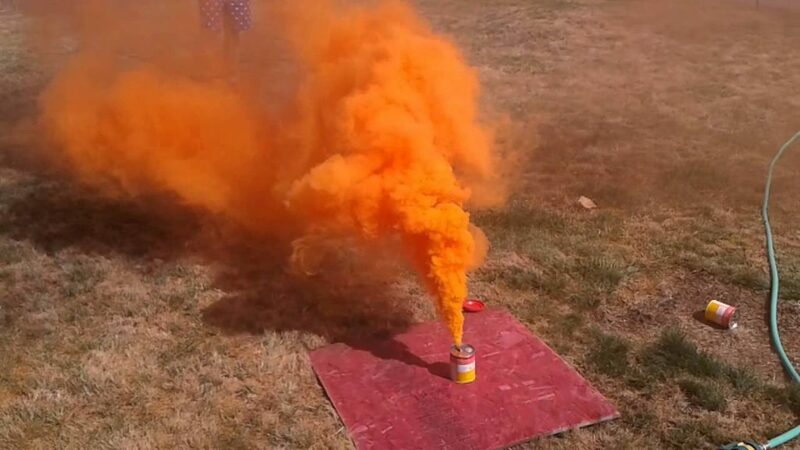 Even better is if you have a flare gun. 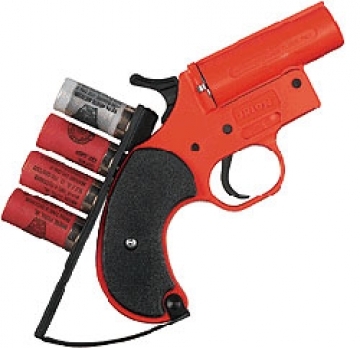 Having a flare gun with you is something that many would consider to be a basic survival skill. This way you can fire the bright flares high up into the sky and hopefully someone around will see it. Flares are good, but flare guns are even better. They definitely attract a whole lot of attention, which is exactly what you want to do when signaling for help. When it comes to flares, just don’t fire them where there are lots of trees because they do cause fires. Yes, a huge forest fire will get people’s attention, but it could injure you too, or worse. 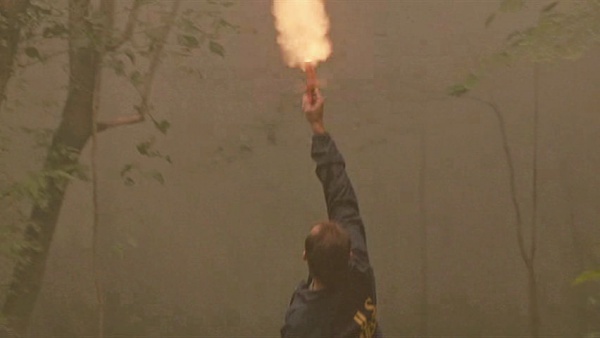 When it comes to survival signals, flare guns are one of your best bets by far. Wilderness survival signals are really important to know for those times when things get rough. So, we would recommend having 3 or 4 of these signaling items with you at all times to ensure your safety in case things get tough. The post 7 Ways To Signal For Help In The Wilderness appeared first on The Prepper Journal.